These gear-driven units have a 50% increase in wash weight capacity over standard, water driven models. 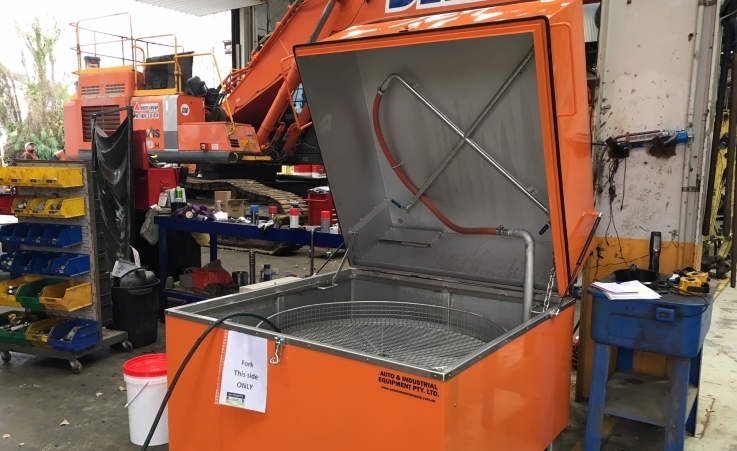 A Gear Driven Basket – yields improved washing efficiency, ensuring higher contact pressure of the water-jets over water-driven models as the basket’s (slow) rotation doesn’t accelerate during the wash-cycle. 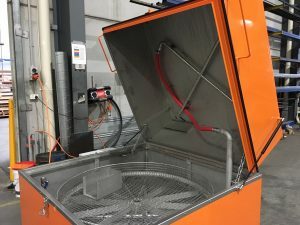 Small parts are more thoroughly cleaned as the constant drive of the basket allows parts to remain in position rather than being swept to the outer edge of the basket with the gradual increase of basket speed evident in water-driven models. This unit has a spray-bar (full diameter of basket) above & below the basket, with a single upright spray-bar, as per the photo on the above left. 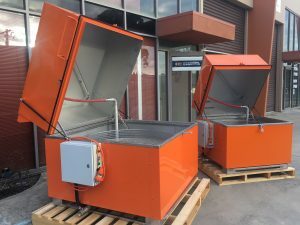 This unit comprises of an X-configuration Spray-bar array (full diameter of basket) above & below the basket, with two upright spray-bars on opposite sides of the basket, as per the photo on the above right. 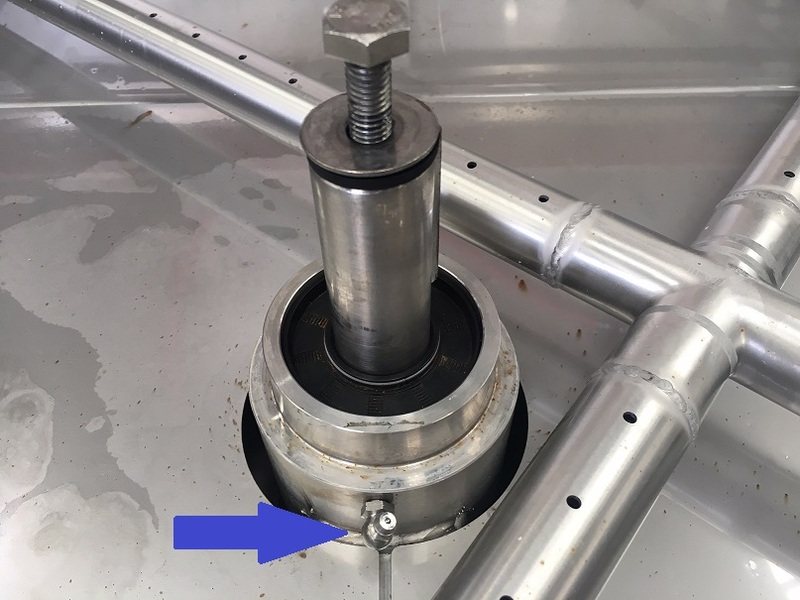 The tapered bearing in the basket-head can now be greased via a grease-point accessible through the basket. Greasing the bearing no longer requires removal of the basket. The grease point is shown below, with the basket removed for clarity.